Theatre Lovett produce work for all ages. Since their foundation in 2010 they have had four Dublin Theatre Festival premieres and have toured extensively both nationally and internationally (including Texas, Philadelphia, Pittsburgh, Cleveland, New York’s 42nd Street, Sydney Opera House, Arts Centre Melbourne, London’s Southbank Centre, Traverse Theatre Edinburgh and beyond). 2016 international touring includes The Kennedy Centre Washington, The Wallis Annenberg Centre, Los Angeles and The Annenberg Center for the Performing Arts at the University of Pennsylvania as part of Culture Ireland’s International Culture Programme. National touring includes the premiere of They Called Her Vivaldi and in late 2016 they undertake an extensive UK and Irish tour with A Feast of Bones by Frances Kay (Dublin Theatre Festival 2013). Theatre Lovett commissioned B for Baby by Carmel Winters, which was produced by The Abbey Theatre and won Best New Play at the Irish Times Theatre Awards in 2010. In 2012 they were the overall winners of The David Manley Emerging Entrepreneur Award. 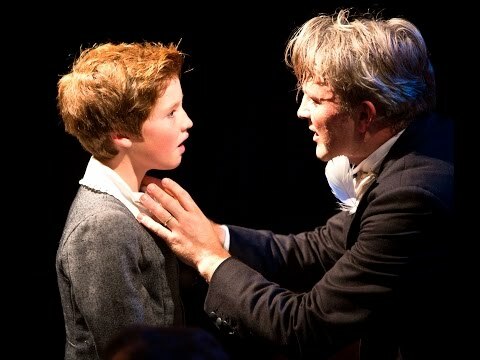 Theatre Lovett have a unique Actor Training programme and have presented Masterclasses in Ireland, USA and Australia. Joint Artistic Directors Louis Lovett and Muireann Ahern both have over twenty-three years experience in theatre for young audiences. Theatre Lovett tour both nationally and internationally. They have performed at several international festivals and are have played at the New Victory Theatre New York and The Sydney Opera House amongst others. They tour Ireland extensively and in the last few years they have toured to on average 20 Irish venues annually.